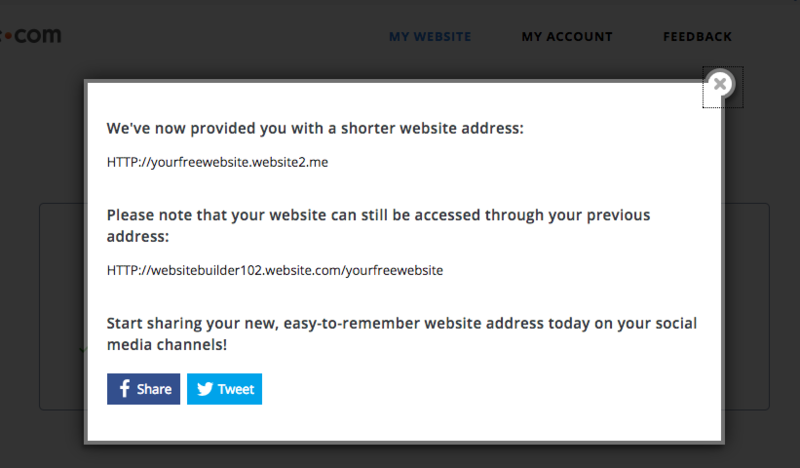 We’re making website addresses for free accounts even easier to remember! The structure for new free Website.com accounts is now: yourname.website2.me. For existing free Website.com users, your old URL will still be active, but you have also been given a new, simpler web address.